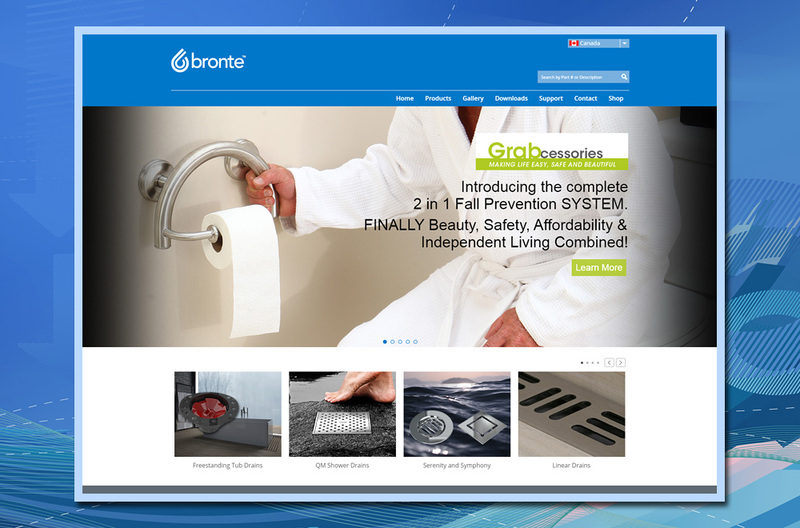 17 Designs recently updated the custom PHP website of our Oakville-based client Bronte Collection www.brontecollection.ca by adding two new product categories (Grabcessories and LiveWell) and by posting 67 products available for sale through Bronte’s Shopify portal. 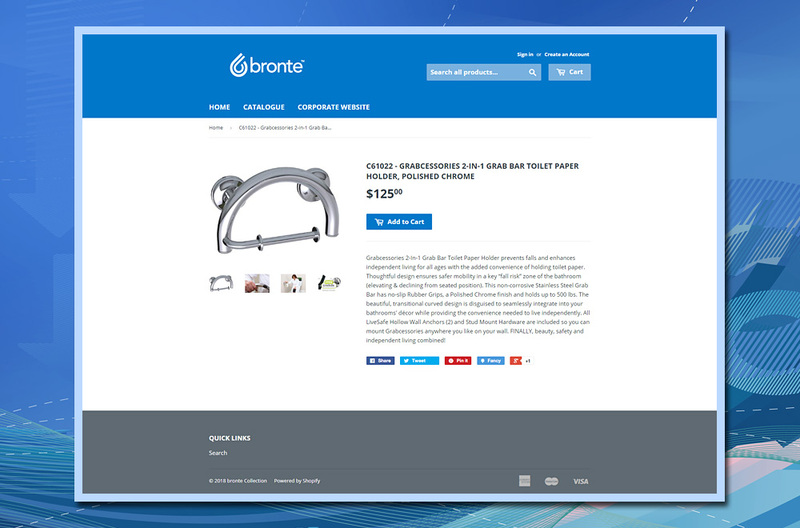 The update required changes to the Bronte website MegaMenu to allow for a second row of product categories. 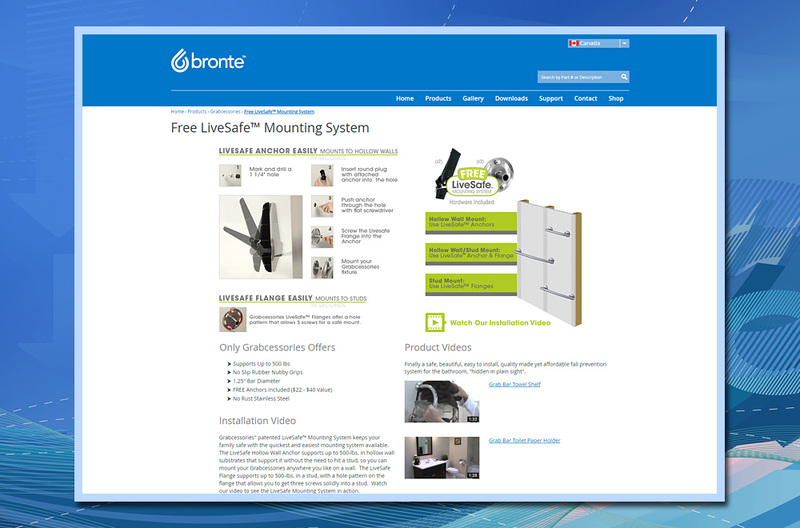 A new, stylish jQuery LayerSlider banner was developed and two feature pages were added – one to promote organic SEO for the new Bronte products; and, the other to explain the Free Mounting System included with each purchase. 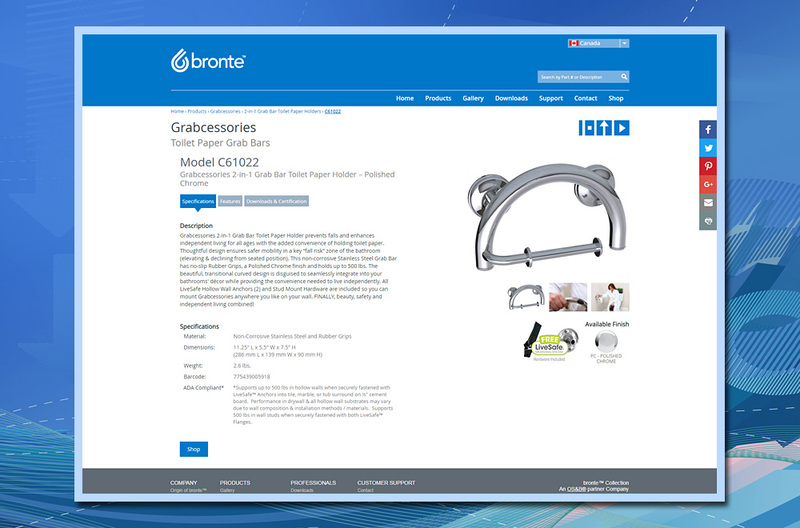 Display of the new Grabcessories products required re-engineering of product templates to include a jQuery hover activated product image switch, the addition of product availability status (for products Coming Soon and those Priced on Request), a Product Inquiry Form and additional product finishes. 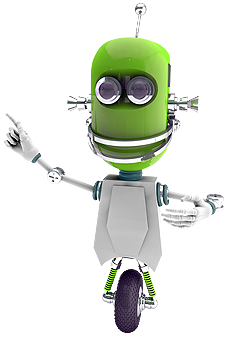 And finally, these new product categories required updates to the website secure back-end for product maintenance and support. 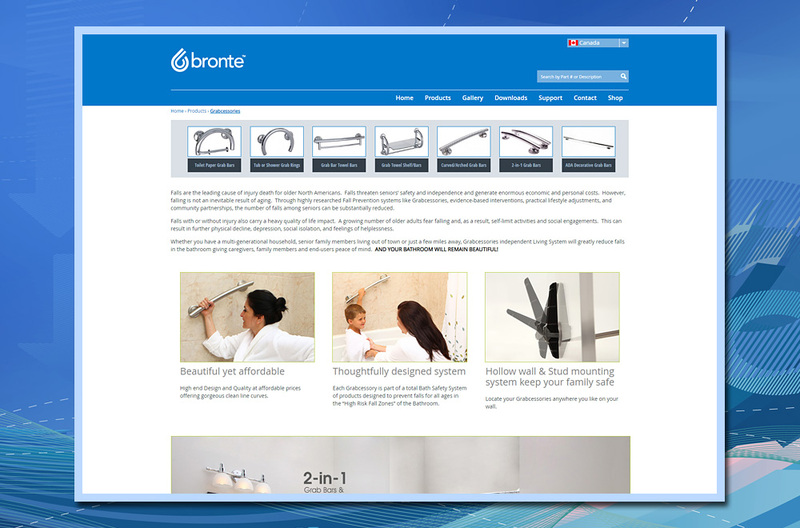 17 Designs is also proud to support Bronte’s parent company OS&B.